Wow! Is it April already! Doesn't time fly? 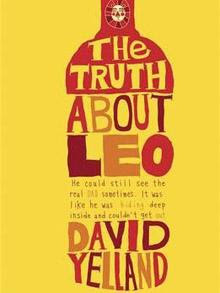 I just wanted to share my thoughts on 'The Truth about Leo' by David Yelland. It is an excellent book, all about young Leo, who struggles at school, and at home, with his dad's drinking issues. He has fond memories of his mum, and keeps these close to his heart.